We’ve all heard that antibiotic resistance—the ability of some bacteria to resist even the strongest drugs—is on the rise. In fact, it’s been said that the “antibiotic era” may be coming to an end. But what does this mean for you? For answers, Bottom Line Health spoke with Cindy M. Liu, MD, PhD, MPH, a leading expert on the use and misuse of these powerful drugs. Is antibiotic resistance truly a serious health threat? Absolutely! Every year, about two million infections from drug-resistant organisms occur in the US, and “superbugs,” such as methicillin-resistant S. aureus (MRSA), are causing more serious illnesses. The list of such drug-resistant bacteria just keeps growing. The most recent threats include carbapenem-resistant ­Enterobacteriaceae, which lead to infections that occur primarily in hospitals, nursing homes and other health-care settings…and antibiotic-resistant gonorrhea, a sexually transmitted disease. Antibiotic-resistant infections cause at least 23,000 deaths per year in the US. Why does antibiotic resistance continue to be such a big problem? Bacteria have an innate ability to develop resistance. And the frequent use of antibiotics—both by individual patients and by society as a whole, including agriculture—gives bacteria even more opportunities to develop resistance. When a person takes an antibiotic for an infection, the antibiotic penetrates the individual’s entire body, not just at the site of infection. This puts pressure on one’s normal bacteria (called the microbiome). If you happen to be carrying a superbug in your gut or nose, on your skin or anywhere in the body, then that superbug can thrive as the antibiotic kills off your resident bacteria. So even if the antibiotic kills the original infection, you could become the source of a superbug that you could pass on to other people. This happens frequently in hospitals, where there are lots of sick people taking lots of antibiotics, but it probably also happens in our homes and workplaces. This is one of the reasons why it’s so important to wash your hands frequently and thoroughly. Proper hand hygiene can prevent you from picking up superbugs and can also prevent you from spreading them if you happen to be carrying one. But we won’t get a real handle on the problem until doctors change their prescribing habits and people stop demanding antibiotics when they don’t need them. The Centers for Disease Control and Prevention (CDC) estimates that one-third to one-half of all antibiotic prescriptions are unnecessary or used inappropriately. How might an antibiotic be used inappropriately? The most common inappropriate use of antibiotics is for upper-respiratory-tract infections. Most of the time, these infections are caused by viruses, and antibiotics don’t kill viruses. So why are people getting antibiotics for viral infections? Part of the problem is that people (including many doctors) still think that there’s no harm in taking an antibiotic, so they use them “just in case.” However, now we’re learning that antibiotic use puts us at increased risk for all kinds of negative side effects—from drug allergic reactions to being infected by potentially deadly C. difficile, a toxin-­producing bacterium that kills tens of thousands of people in the US each year. We mostly hear about antibiotic resistance as a public health threat. Are individuals personally at risk if they take antibiotics frequently? Some people—those with diabetes, women with recurring urinary tract infections (UTIs), older adults, etc.—are prone to frequent infections. The more they take antibiotics, the higher their risk of developing an antibiotic-resistant infection. But it’s not just these people who are at risk. 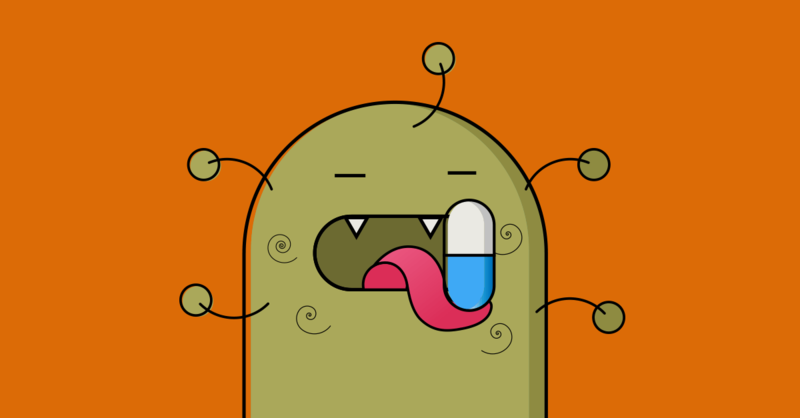 We are all at risk for superbug infections and negative side effects when we take antibiotics. Should I ask my doctor not to prescribe antibiotics? When a doctor is giving you (or your child) an antibiotic, I think everyone should at least ask whether the medication is really needed—and if it should be taken right away or if you can wait for a few days to see if the symptoms clear up on their own. The treatment guidelines for infections tend to favor drug therapy, even when the evidence suggests that no treatment or watchful waiting might be a better choice in some cases. Some clinicians feel pressure to prescribe antibiotics, even when the medication is not necessarily indicated, to hedge their bets and help them to have shorter visits. And some actually may prescribe unnecessary antibiotics just because they think that’s what the patient wants, not what the patient needs. It’s important for doctors to hear from you that you don’t want an antibiotic unless it’s truly necessary. Is it true that patients who stop antibiotics early increase the risk for resistance, both for themselves and for society as a whole? The conventional wisdom is that stopping an antibiotic before a prescription is completed will give bacteria the opportunity to mutate and become resistant. But some experts aren’t so sure. A British team of scientists reported that there’s little real evidence to support this idea. They concluded that lengthy anti­biotic treatments—including those in which prescriptions are followed to the ­letter—are more likely to cause resistance than prevent it. That’s because each day that you are on antibiotics, you are disrupting your microbiome and potentially fueling the growth of superbugs. The disruption of your micro­biome can also put you at risk for other infections. Antibiotic-related changes to vaginal bacteria, for instance, can lead to the overgrowth of fungal cells and yeast infections, while antibiotic-related changes to the gut microbiome greatly increase the risk for infection by C. difficile. The risk for these kinds of infections increases with frequent and lengthy antibiotic use. The paper from the British team, published in the prestigious BMJ, is controversial, since it goes against most of the messaging that’s been promoted over the past several decades. Even the CDC website says to finish your prescription. Clearly, we need a lot more research into this, and we need to develop ­evidence-based messaging for the general public. What else can we do to combat resistance? People get tired of hearing it, but hand hygiene is one of the most important things you can do for your health—and the health of those around you. It’s particularly important when you’ve been in a hospital or doctor’s ­office. Your health-care providers are constantly being exposed to drug-­resistant organisms…and they don’t always wash their hands. One study found that 75% of the cell phones carried by health professionals were contaminated with disease-causing germs, including MRSA. My advice: Wash your hands with soap and water (or at a minimum, use an alcohol-based hand sanitizer) when you arrive at your doctor’s office and when you leave…after being in public places…and after handling meats. And don’t forget to wash your knives, cutting boards and countertops after handling meats/poultry. You don’t need to go out and buy special antimicrobial soaps. These products are no better than regular soaps at getting rid of superbugs and actually may help fuel the problem when they are flushed into the environment.